From this tutorial you’ll learn how to change “theme_name” to any custom name you want to use. First, log in to WordPress Dashboard (Administration panel). 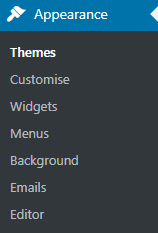 Locate Appearance tab in the left column of the Dashboard and navigate to Themes sub menu. Here you can deactivate your current theme. Activate any other theme to make your current theme inactive. 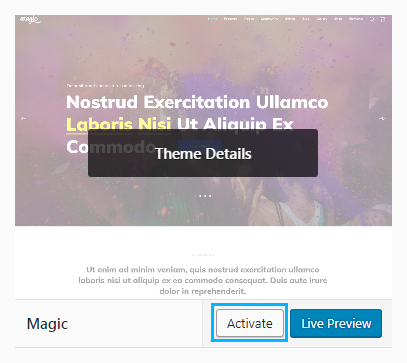 To do it click on Activate button on the block with any other theme available for you. Now you need to access your server. You can do it using FTP client or your hosting server cPanel file manager. Use the one that is more convenient for you. 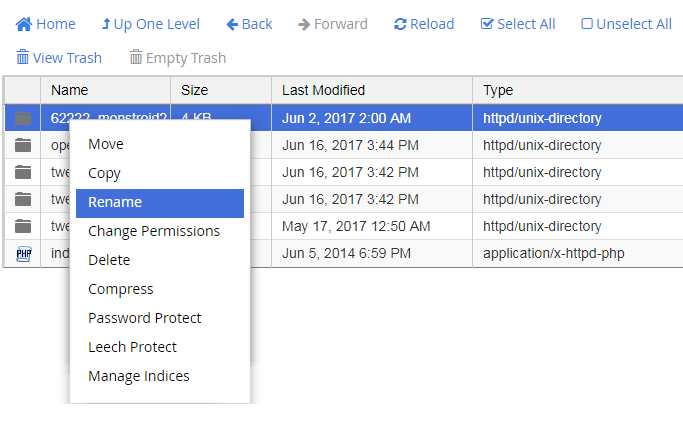 In our example, we’ll use standard cPanel file manager. 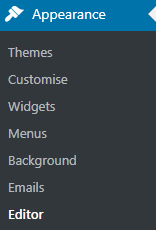 Navigate to wp-content/themes folder, and rename the folder, which contains your theme, to your custom name. Return to WordPress Dashboard and navigate to Appearance > Editor tab. Select your theme to edit and click on Select button. Now open style.css file and change Theme Name value to your custom theme name. Save the applied changes. Go back to Appearance > Themes tab. Activate your theme.